The 2018 release of Marvel's Black Panther film illuminated the beauty and flavor of African culture. While Wakanda is fictitious, the Wakandans spoke the real-life South African language called Xhosa. You travel to South Africa for business or leisure. You've been searching for classes that teach African dialects. You're fascinated with linguistics, culture, and/or communication. You simply like learning cool stuff because it's good for the brain. Our 6-week live webinar will take place from August 20 through October 1 on Monday evenings from 6-8pmEST. All webinars will be recorded and emailed to participants, and all materials will be provided. 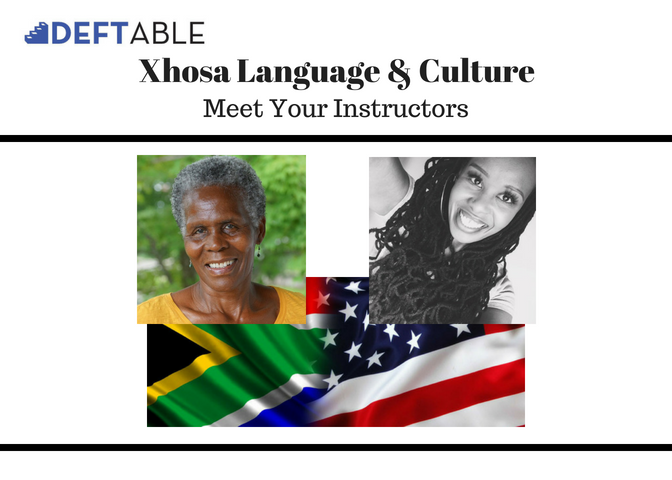 You will learn Xhosa greetings, pronunciations, and as many conversational phrases as you can retain during this 6-week intensive. We'll discuss history, culture, food, clothing... and, of course, the infamous clicks that are characteristic of Xhosa. The cost is $300 USD, and a $50 non-refundable deposit will secure your space. SPACES ARE LIMITED. We are also accepting DONATIONS, which will be dispersed to students in need of scholarships. Deposits are due no later than Monday, August 6. The remaining $250 balance is due no later than Friday, August 17.